and not something to be desperately sad about. But we have a particular fondness for her in our house. 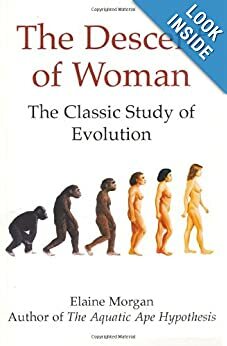 Morgan wrote a book in 1972 called 'The Descent of Woman' which explored the idea that our pre-human ancestors went through an aquatic phase, and that this has left us with features that make us different from our near cousins such as walking upright, hairlessness etc. She was particularly keen to explore how features of the female of the species turned up. All of the standard narratives concentrated on 'man the mighty hunter' who climbed down from the trees, grabbed a stick to use as a spear, and ran off across the savannah pursuing antelopes. 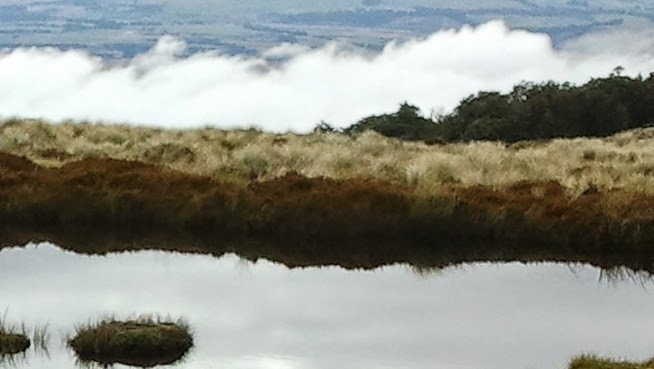 The Aquatic Ape Hypothesis is a controversial theory, and when I say controversial I mean it is largely dismissed by professional anthropologists. Whenever I hear it being dismissed I find myself unconvinced by the dismisser, but I'm no anthropologist. They may be right. Morgan herself was a writer rather than a scientist, but she was a very good writer, and her book caused quite a storm at the time. She pursued the theory with more books over the years. Our particular fondness comes from our courting days. Mrs and I were a couple of geeky kids (perhaps the only two geeky kids in our small town) who found each other not very long after Morgan's book came out. Mrs had a biology teacher (yes, still at school) who was happy to loan her books so we spent our dates reading things like Morgan and Goodall and talking about them. Happy days! But a bit more than that. Until around then I had been pretty much only interested in physics. Not that I was very good at it, but it is what I liked. Mrs had interests in biology and actually a ton of other stuff I had never given a thought to. So Morgan's book, for me, represents a general leap in awareness of things that don't involve rockets or electrons but do involve evolution and Jane Austen. I like to think the Aquatic Ape Hypothesis has merit, but even if it doesn't I feel I owe much to Elaine Morgan. Mrs and I still share our geeky books over 40 years later.